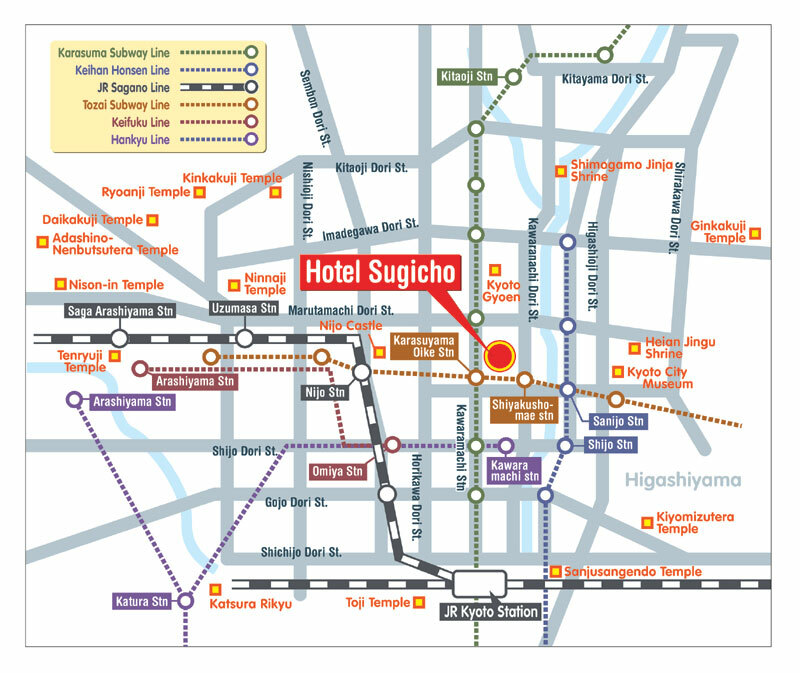 Hotel Sugicho is situated just 5 minutes walk from the Kyoto Shiyakusho-mae subway Station and is conveniently located close to numerous bus stations making it the perfect spot to base your sightseeing around Kyoto. Just next door you will find Kyoto Gyoen and the Nishiki Markets. 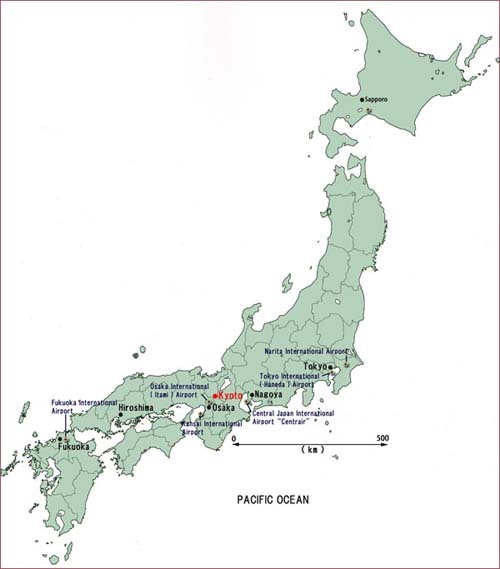 *Click here for a full map of Japan. Total traveling time: Approx. 105 min. Total traveling time: Approx.70 min. Total traveling time: Approx. 55 min. Total traveling time: 29 min. Total traveling time: Approx. 74 min. Total traveling time: Approx. 2 hours 40 min. *Click here for a full map. 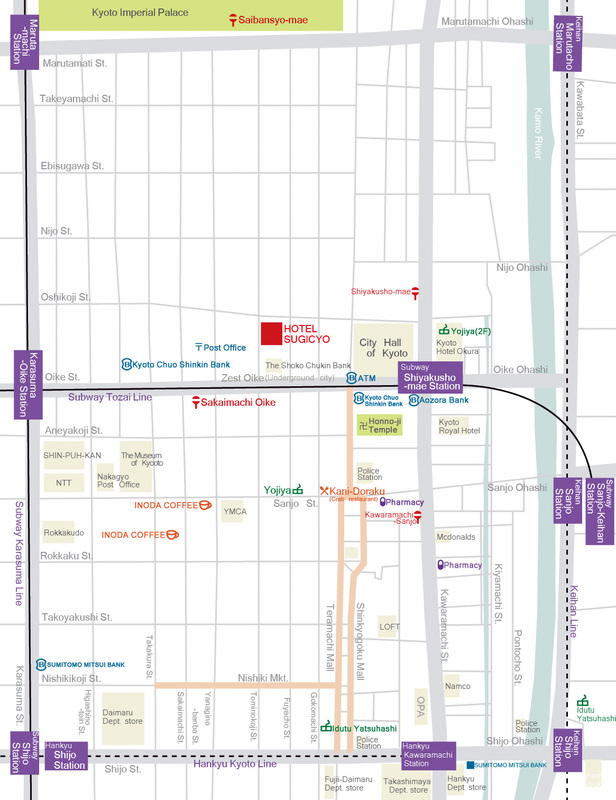 Take the Karasuma Subway Line from Kyoto Station to Karasumaoike Station on the Tozai Subway Line. Take bus 4, 17 or 205 from Terminal A2 from the Karasuma Exit of Kyoto Station.